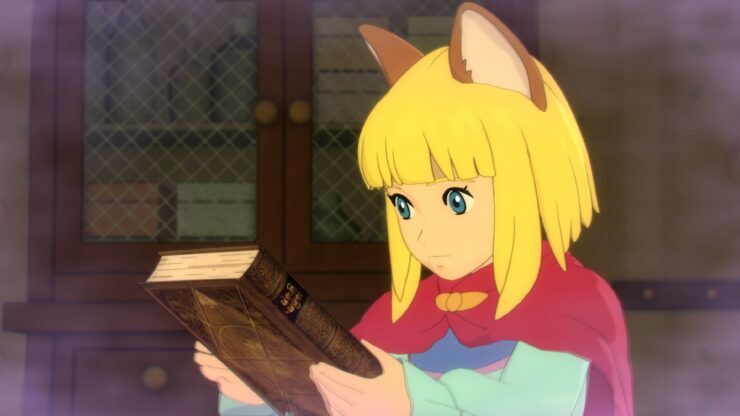 New information has been made available today for the next Ni no Kuni II Revenant Kingdom DLC, which will be called The Book of Wizards. The new DLC, which will release next month on March 19th, will introduce plenty of new content to the game, such as new character episodes which will provide more details on all party members and two new battle styles that will allow players to use brand new skills in battle. The biggest addition of the DLC, however, will be a brand new story involving a character coming back from the original Ni no Kuni. More info on the DLC will be coming at a later time, according to the game’s official Japanese website. Ni no Kuni II Revenant Kingdom has been released last year on PC and PlayStation 4. In his review, Kai noted how the game is a worthwhile experience for all JRPG fans thanks to the charming story, memorable characters, combat, and side content. King Evan’s adventures are something that I soon won’t forget after wrapping up Ni no Kuni II: Revenant Kingdom. The rare trifecta of having everything I wanted in a JRPG was in full swing: a charming story with memorable characters, combat that ratchets up into higher difficulty with the postgame content, and side content that helped it stand out as something truly unique. While the kingdom skirmishes are the weakest part of Ni no Kuni II, building up the kingdom of Evermore into a global superpower was a feeling that no other RPG of late can match. Whether you’re up for a heartwarming story or brutally difficult postgame content, there’s something charming within this other world that you’ll have to check out for yourself.